CTI (Computer-Telephony Integration) is common name for technologies that integrate the functionality of telephone and computer systems. 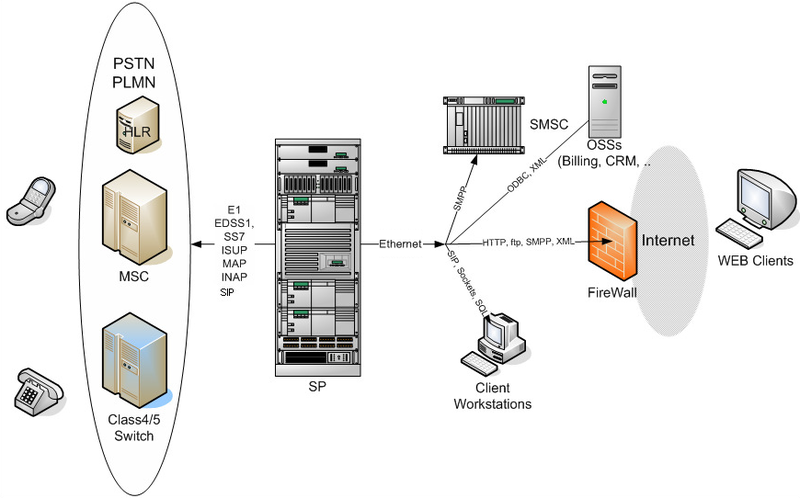 Our CTI service platform (SP) includes databases, telephone servers, signaling interface towards the public fixed and mobile telephone network, the client applications and a computer networks that connects servers to clients and an interface to other computer networks (WAN, Intranet, Internet). The main function of the service platform is to provide intelligent services in the network, avoiding development interventions in the standard switching equipment. Contact Center is a system that serves companies to manage contacts with customers through different media such as telephone, fax, e-mail and social networks. Large companies use contact centers to manage not only their relationship with customers, but also for internal communication within the company. Interactive voice response (IVR) is a technology that allows a computer to interact with customers through voice messages and DTMF input from the keyboard. Users interact with the system via the phone keypad listening to instructions given by IVR dialogue. IVR systems can respond to user requests with previously recorded or dynamically generated audio. Users can vote using a voice call, SMS or USSD message. Organizer accesses the service through a web browser. Defines voting options and related telephone and SMS numbers and keywords for each option. The voting can be organized through the episodes and circles. Real-time monitoring and management are provided. Sending and receiving faxes by using computer. Fax server system is installed on a computer in the network. Allows computer users to send and receive messages without using physical fax machines. The user can send a message from any application that supports documents printing. Sent and received messages are stored in the fax server in electronic form. They can be viewed and printed. Promoting products and services using SMS. The service allows you to communicate with existing and potential customers by sending mass SMS notifications, advertising and other messages. Messages may be common for all recipients or personalized. Sending can be initiated via a web portal or programmatically, using a dedicated API. Number portability enables telephone users to retain their telephone numbers when changing from one network operator to another or when changing location.